Aren't cornflowers the most beautiful blue colour? Absolutely. 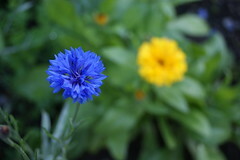 At our wedding there were cornflowers everywhere. At the altar, at the end of the benches in the church, in my hair, in my bouquet and at the tables. 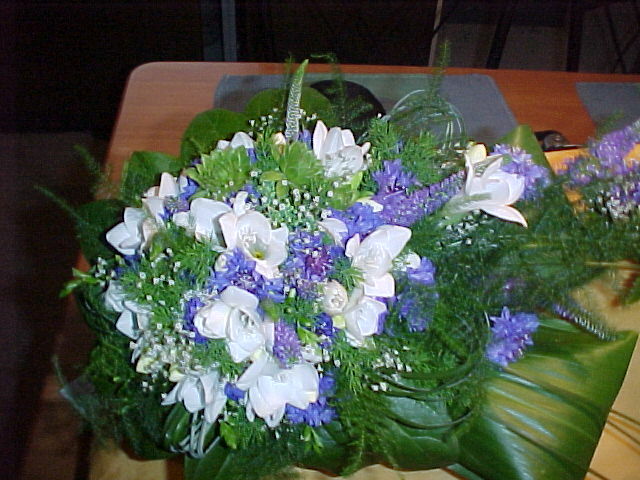 A very poor picture of the bouquet.